or for those who feel unsafe, have brain damage, pain, pressure ulcers or are heavy. Immedia TwinSheet4Glide comes in two versions - full length and two parted. 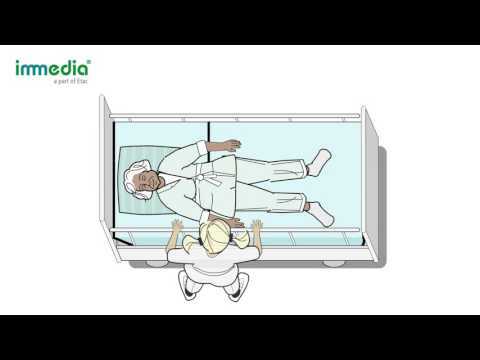 Disconnecting the lower part in this position provides better access for care of pressure ulcers, hygiene, dressing and even to change the bedding, both the lower part and the top part.